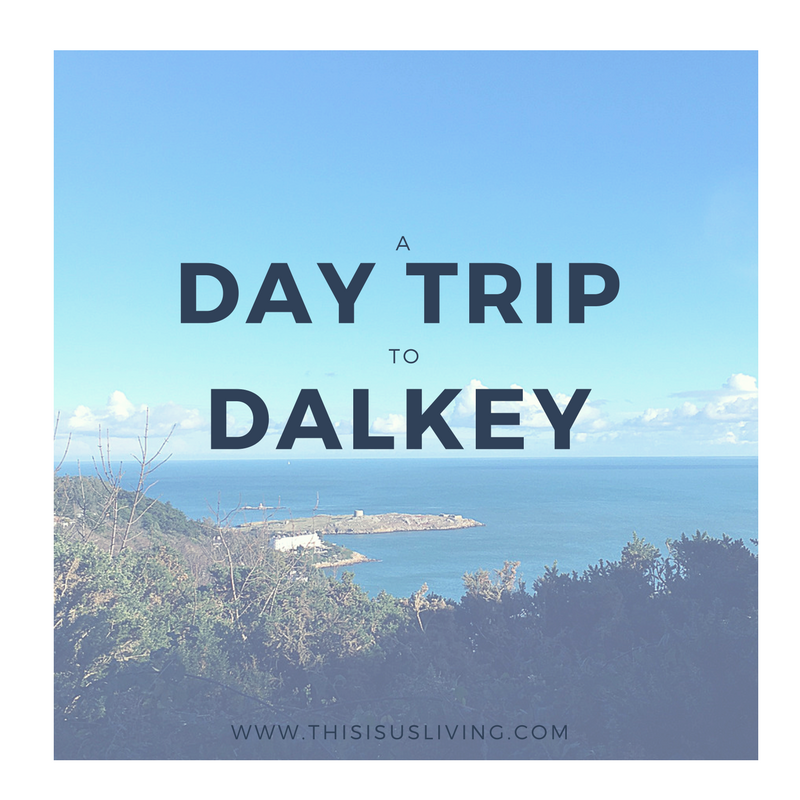 Dalkey is a very small coastal town. 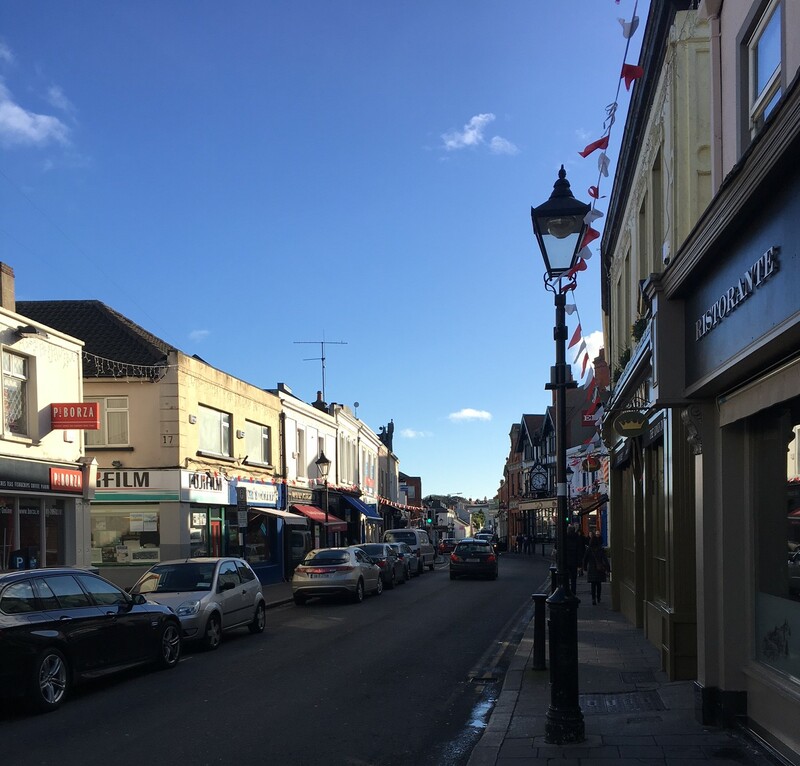 It is quaint, and with narrow roads filled with restaurants and shops. Even better, it is home to a few celebs – Bono and Enya to name a few. Since moving to Ireland, I have gotten this obsession with trying to spot a celeb. 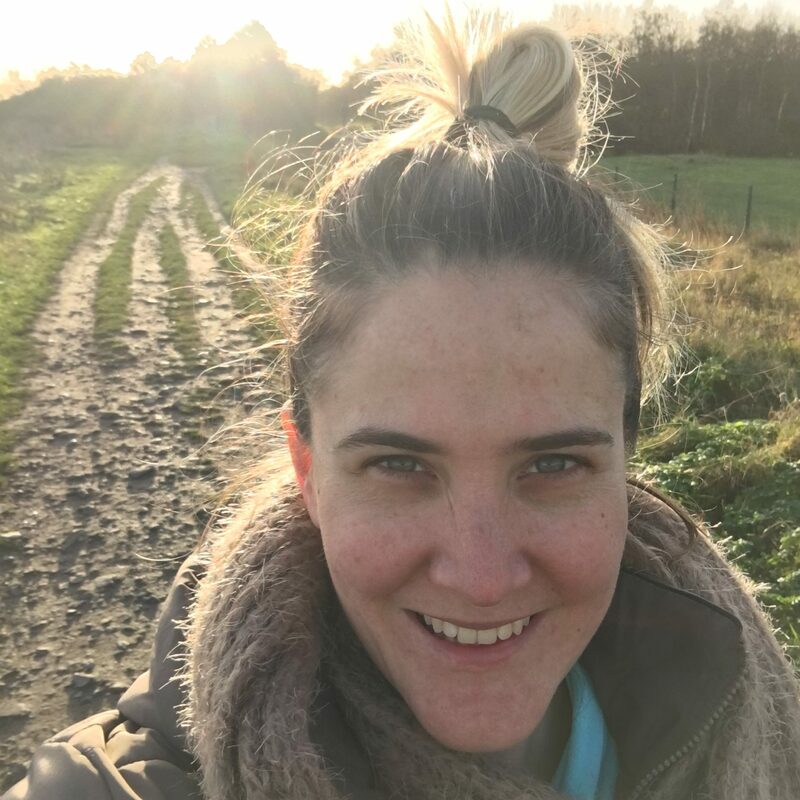 No such luck yet, but I will happily explore more of Ireland until we do! 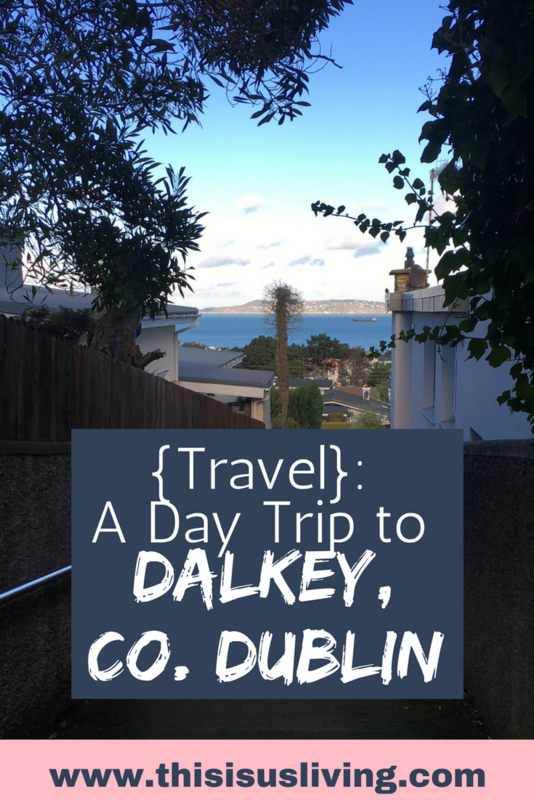 How to get there: Catch the DART to Dalkey is probably the easiest way (22minutes from Lansdowne). 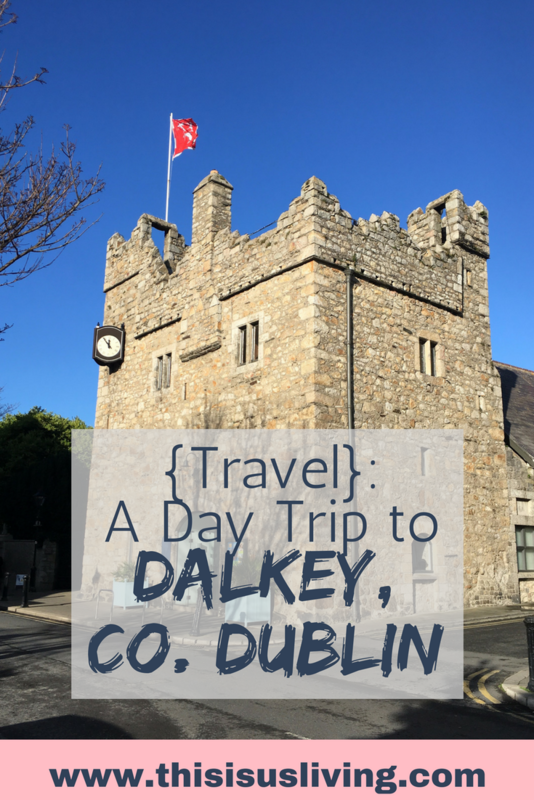 We arrived in Dalkey mid morning on a Saturday, but found a lot of places were closed. Regardless, we decided to start our exploration off with a pit stop to fuel our bellies. we found a very trendy spot around a corner, called Wanderlust. 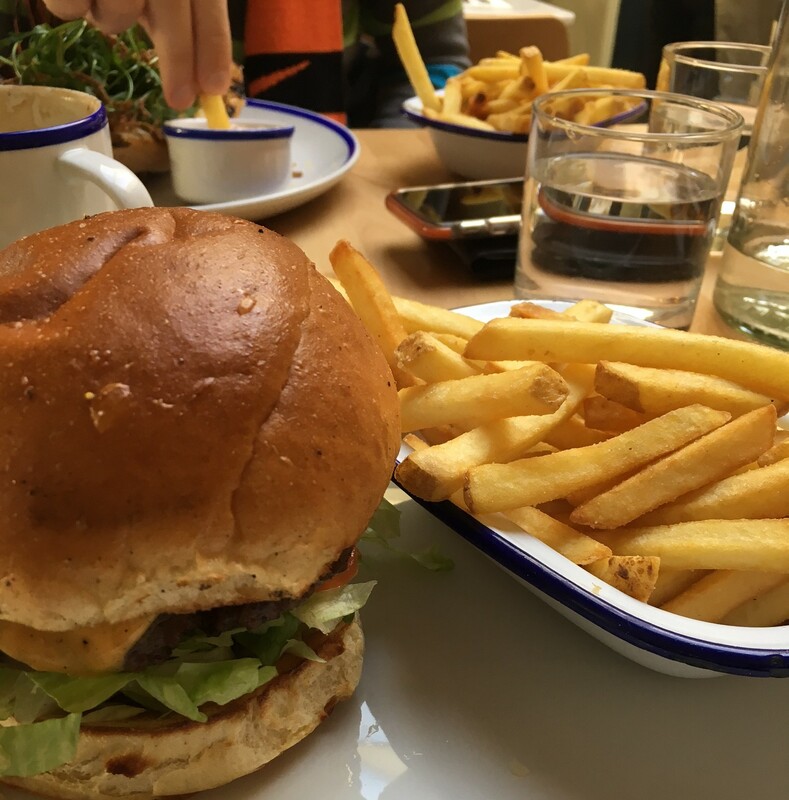 I loved the casual dining, and the very hipster vibe of this restaurant. They offer a brunch, lunch and a dinner menu. Just a bit of a warning though, the restaurant seating is small and at times, gets a little cramped. I had the Wanderlust burger, which was super tasty! 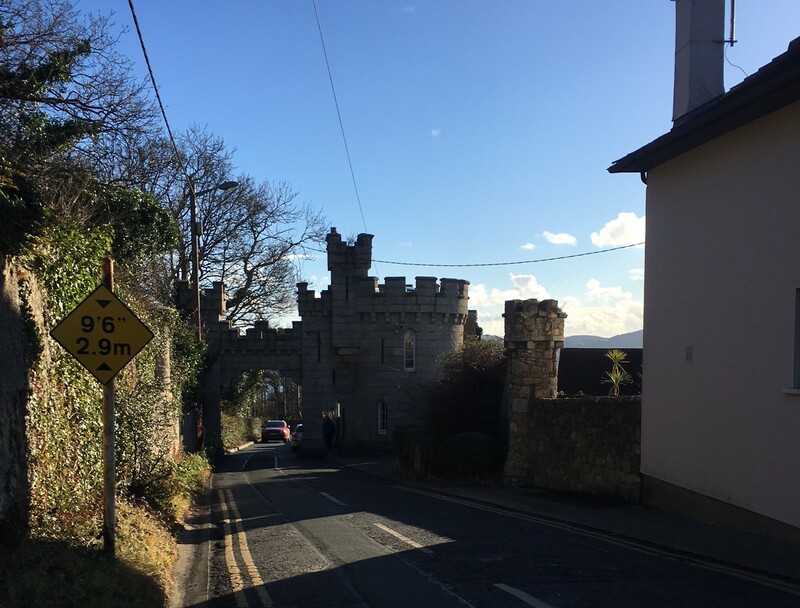 After a satisfying lunch, we missioned up the street, and followed the signs going to Killiney Hill Park. 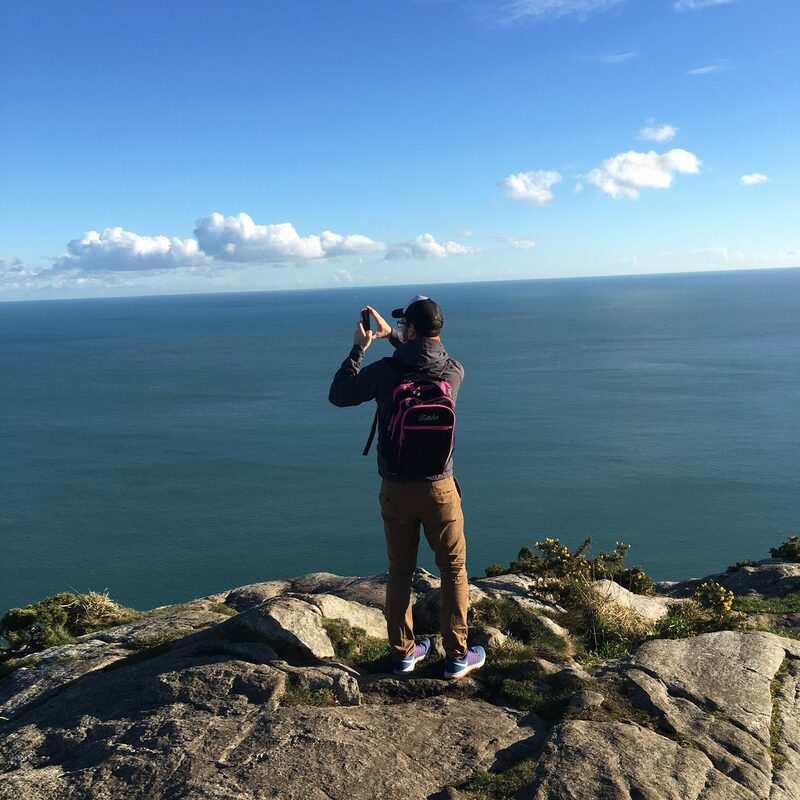 It is a little over 1.5km walk, and the views are spectacular – and well worth the uphill walk. 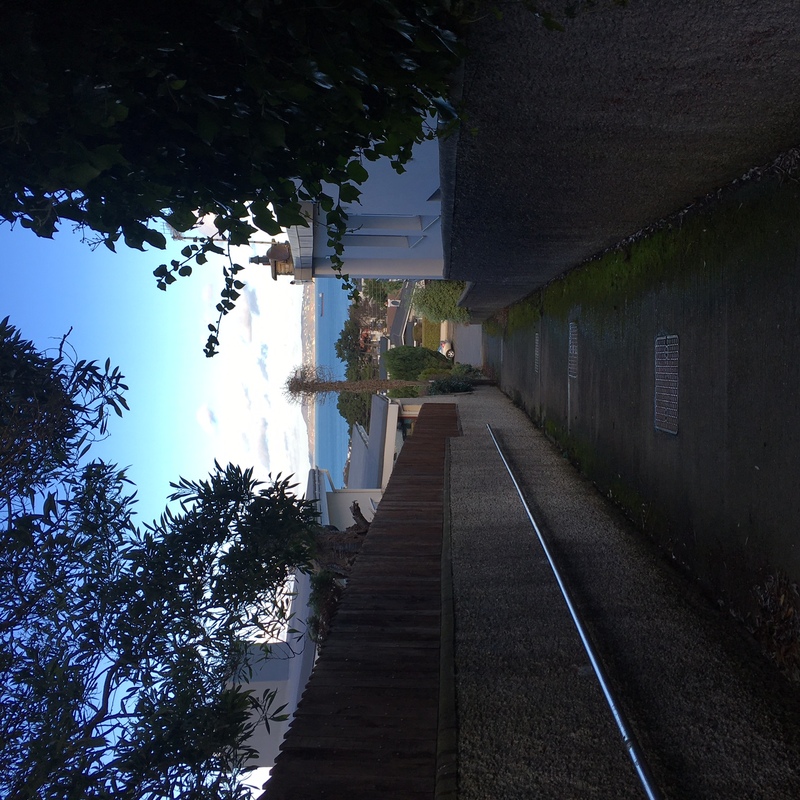 Rob actually suggested that it would be good hill training to run and up – it kind of reminded me of Westcliff stairs back home. So perhaps we will be back to tackle this hill in running gear!? For now, I am just happy we got to experience these great views! 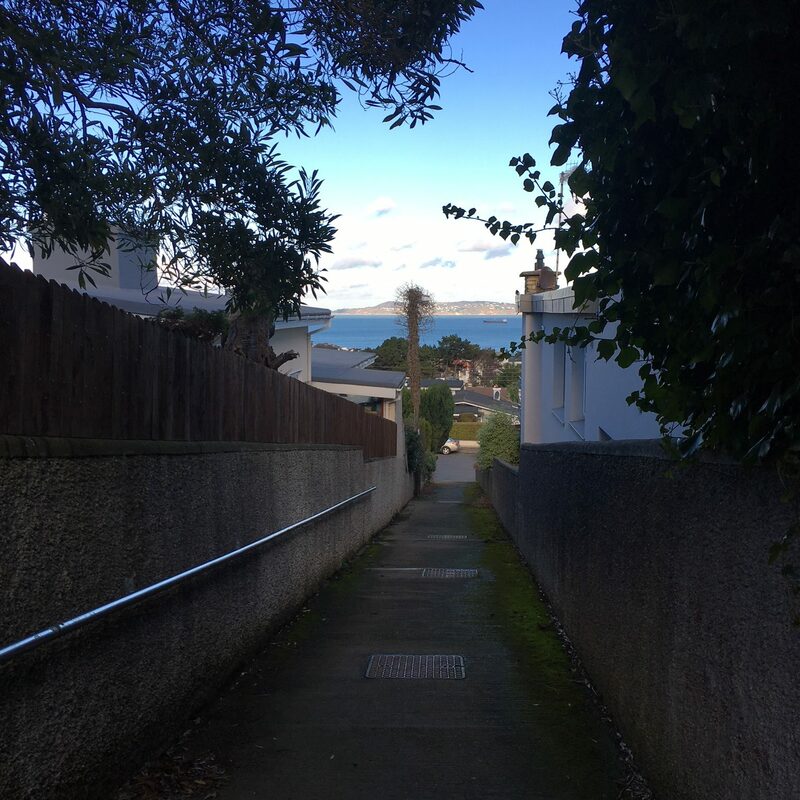 After we did several pano’s (Rob is slightly obsessed) we walked down the other side of the hill and park and walked towards Killiney, to catch the Dart and head to Bray for the rest of my Birthday trip. Along the way, we spotted what looked like a part of a wall/tower – and would you believe, someone actually lives here!? 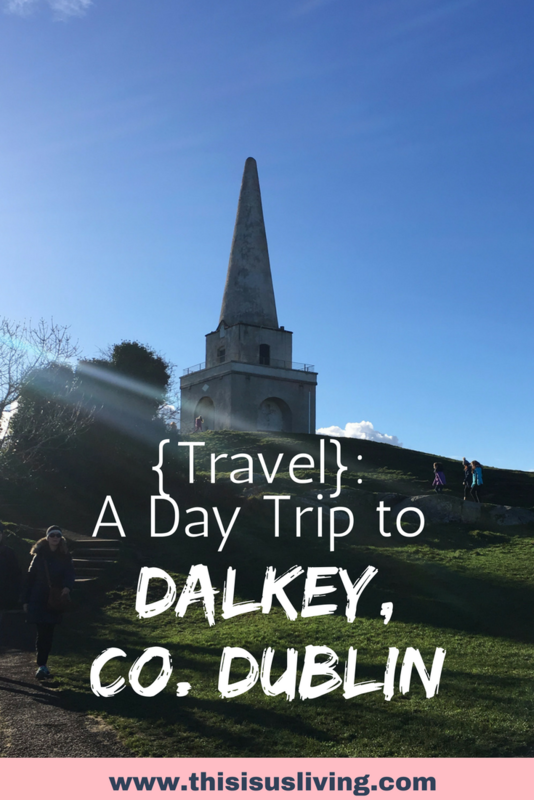 Although I know we definitely have not explored all that both Dalkey and Killiney have to offer, it was a great taste for these two little towns and we can’t wait to go back again to explore some more! Who knows, maybe we will even bump into Bono! Have you bumped into a celeb? Tell me where!